A full stomach makes a happy heart, the saying goes. 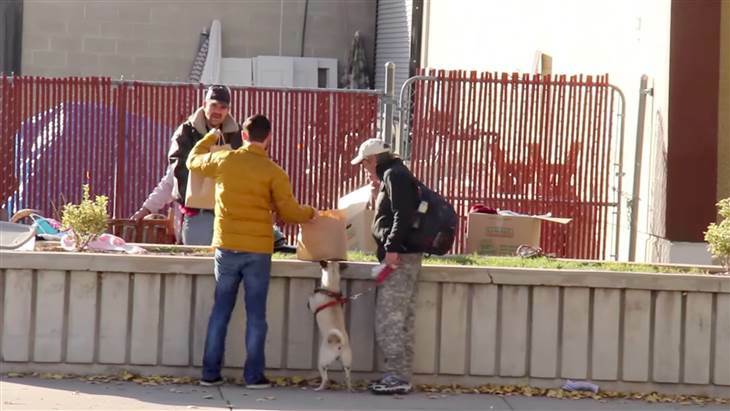 But one Utah man is taking some hits from doubters on the Internet over his heartfelt acts to feed both his friends and the homeless. 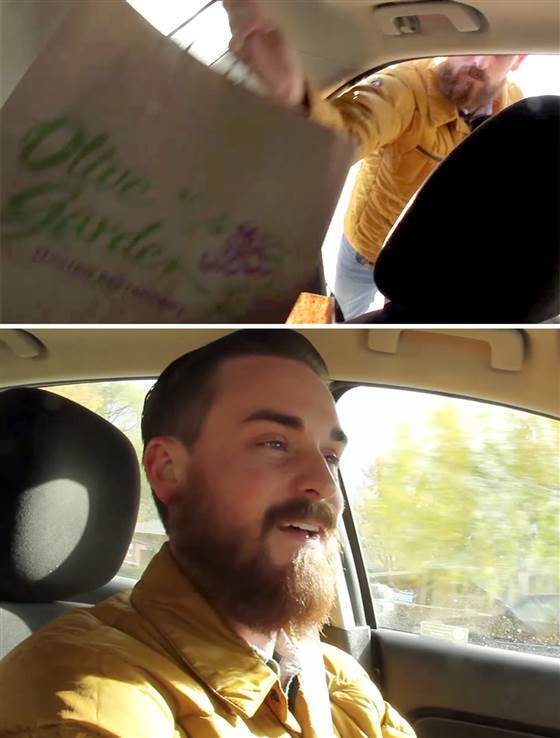 Several months ago, Matt Tribe snagged a limited edition, $99 pasta pass from Olive Garden that granted owners unlimited meals for seven weeks. After learning he could use the pass for take-out orders, an idea formed for how he could share his newfound bounty: Random Acts of Pasta. “I decided to get pasta everyday and show up at their houses and give them pasta. Friends, family and strangers. I wanted to brighten their day,” he told TODAY. He quickly started sharing the meals with the homeless after a series of unannounced visits to the homes of his friends — and finding the houses empty. In the end, Tribe used the pasta pass 125 times, visiting 11 Olive Garden locations in the process. 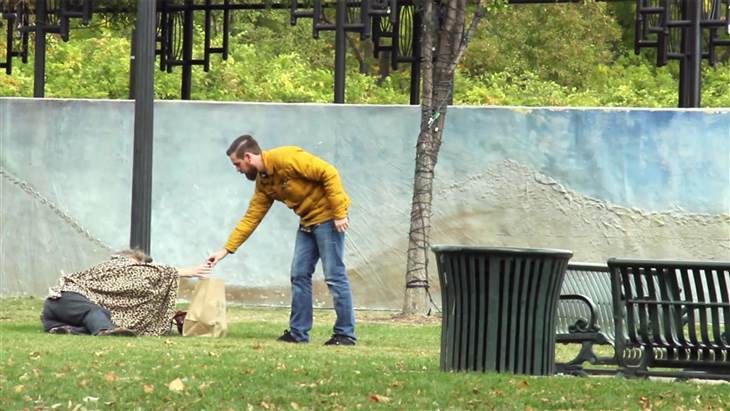 A video of him taking deliveries to the homeless on the street went viral, along with the story behind it. Quickly, skeptics over the Internet expressed doubt over Tribe’s actions, questioning whether they were either part of a hoax — or part of a crafty marketing ploy by a popular Italian restaurant chain. Tribe said the accusations stung. “It kinda hurt. I spent so much time and effort on this. I just wanted to do something nice,” he told TODAY. In a Tweet, Olive Garden denied any involvement in Tribe’s effort beyond providing him with the pass he purchased. In a statement to TODAY.com, the company confirmed it did not work with Tribe but approved of what he has done. Tribe said his Random Acts of Pasta project was one of the most “fun and fulfilling” things he has ever done, and he continues to look for more opportunities to give. Next Post: On the Third Day of December . . . I believe him! Thank you! Way to go Matt! We need more people to bless others like this in the world!